Jared Unzipped: Where Did Root Beer Come From? Root beer, which is a beverage based upon Sassafras root or bark, has a long tradition within the United States, and North America as a whole. It's development began with Native Americans, whom used it for drinking recreationally, as well as within their worshiping rituals. Upon the arrival of European settlers in the New World, they adapted the use of Sassafras for their own drinking purposes. 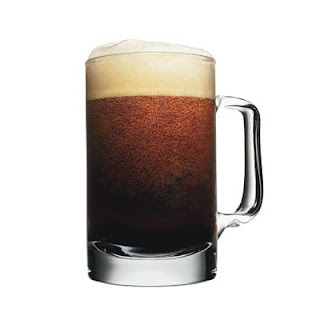 By the late 1800's, root beer was still a homemade concoction with no real commercial value. This changed with Charles Hires, whom marketed the first successful root beer brand in the US. He debuted his Hires' brand root beer at the Philadelphia Centennial Expo in 1876. Within ten years, Hires' was bottling his root beer for national distribution. Along the way, other major root beer bottlers sprung to life. The Barq's brand was sold beginning in 1898 -- thought it's formula was based upon the similar-tasting Sarsaparilla root and not Sassafras. A&W got its start in 1919 at a paltry road-side drink stand in California. Perhaps the reason A&W became so successful was that its owner, Roy Allen, served the root beer in frosty mugs. IBC brand root beer also came to life in 1919, largely due to Prohibition. It was formulated at the Independent Breweries Company in St. Louis, Missouri as an alternative to making alcoholic beer. Essentially, root beer kept their business 'a-float'. One of the most loved uses for root beer is to make a root beer float. This sweet, dreamy mixture is a combination of root beer and vanilla ice cream. Ice cream floats were a popular invention around the very end of the 1800's -- they were usually sold in pharmacies which kept carbonated water and flavored syrups on hand to serve to customers. Many variations of the root beer float sprung up simultaneously all across the United States. 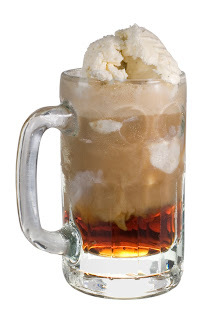 One popular nickname for the root beer float was a black cow, whereas a brown cow is a root beer float that used chocolate instead of vanilla ice cream. Thankfully, root beer is still in production to this day by a multitude of manufacturers. It's a wholly American treat that represent our nation well -- more-so than Coca-Cola or Pepsi in terms of soft drinks.